Tiger Woods Falls Short In Quest To Win Regular Season's Final Tournament : The Two-Way Woods, who hasn't won a golf tournament in two years, entered the Wyndham Championship Sunday trailing by just two shots. The stage was set for something remarkable, but the magic didn't happen. Tiger Woods was unable to end his two-year winless streak on the PGA tour, despite leading early on in the Wyndham Championship in Greensboro, N.C. It had the makings of a storybook ending. Tiger Woods, who's in the midst of the worst stretch of golf in his legendary career, was on the verge of quieting all the critics who said he was finished. All he had to do was something he hasn't done in two years — win a golf tournament. A victory at Wyndham Championship Sunday would not just have given him 80 career victories, two behind the career record set by the great Sam Snead; it would also have propelled Woods into the playoffs. A solo second-place finish would have left him with a slim chance. "The dominant storyline all week at Sedgefield Country Club was the mere presence of Woods, who needed a victory to earn a spot in the FedEx Cup playoffs opener next week." Woods, wearing his trademark red shirt for the final day, entered Sunday trailing by just two shots to the overnight leader Jason Gore. The stage was set for something remarkable to happen. But the magic never came. Woods couldn't keep pace with the leaders in the first part of his round, punctuated by a triple-bogey (three shots over par) on the 11th, hole which effectively sunk his playoff quest. He finished tied for 10th place. As CBS Sports reports, it wasn't all bad for Woods. 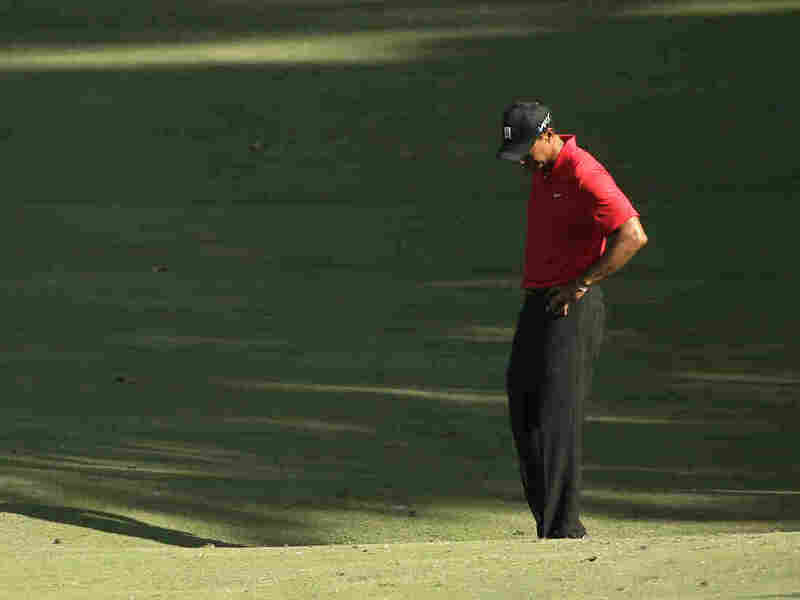 "Even still, Woods should takeaway plenty of positives from the Wyndham Championship. It was his best tournament finish since the 2013 Barclays and he was driving the ball and striking the ball as well as he has in two years all four days. He looks confident with his swing and comfortable trying to hit different shots all the way through his bag." People were so nice this entire week, tons of respect for Greensboro. Very cool to see @Love3d get another win here. For Woods, the tournament's close wasn't a picture-perfect happy ending — but for another veteran golfer, it was. Davis Love III – who at 51 years old—shot a six-under-par 64, winning by one stroke over Gore. He became the third-oldest winner in PGA Tour history, finishing at 17-under 263.